From the opening ball-up at Humber College South the Rebels quickly found their stride rushing out to a 6.2-38 to 0.2-2 lead in the first quarter. While the Dingos were able to create some opportunities through the work of Michael Ladd and Steve Speers in the middle they were few and far between. With the Dingos unable to capitalize and the Rebels maintaining the same pace as the opening quarter the Dingos went to the half-time break down 12.2-74 to 0.3-3 and looking to be in danger of a shutout. With the game already gone and only pride on the line coach Mike Karas took the opportunity to give players some time at positions they might not normally play with a view to identifying future line-up combinations. Linden Evers continued an excellent rookie year doing everything that was asked of him and taking time in a number of positions including in the ruck, he was ultimately awarded best on ground for his contributions. In the third quarter the goals kept coming from the Rebels, albeit the Dingos were able to slightly impact the pace. Dingos’ full forward Rob McNaughton briefly looked to have broken the drought with a pearler from the boundary line but the kick was ultimately touched on the line. He would have to wait until the fourth quarter where he was ultimately able to snag two goals to give the Dingos some consolation from this one. Ultimately the Rebels again showed themselves to be the team to beat this year, coming out the victors 21.6-132 to 2.4-16. The Dingos don’t have time to lick their wounds though, and following two tough losses will be looking to regroup against the Central Blues. 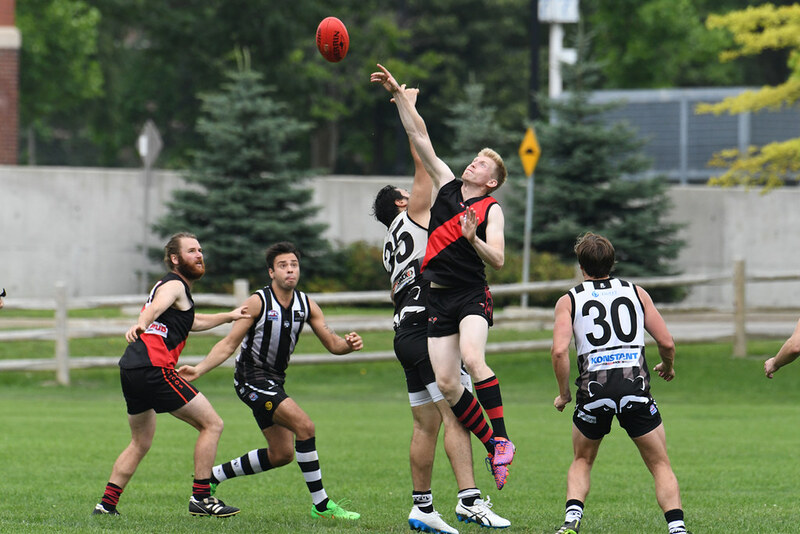 The Dingos went down 8.5-56 to 5.9-39 to the Blues in an arm wrestle of a game back in round 5 (match report) and will be looking to make amends this time out.